A year ago today I was literally sh*tting my pants with nerves. I was about 2 days away from casting off into an adventure on which I had no idea what would transpire. 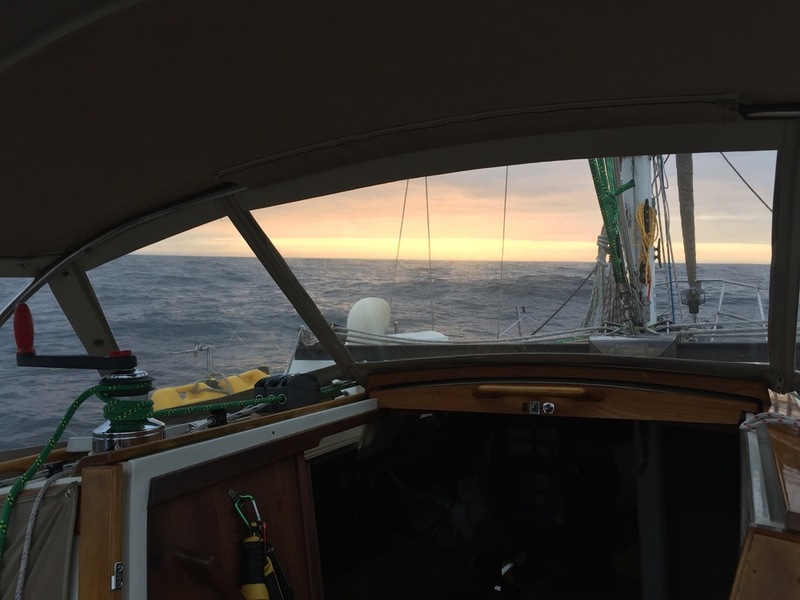 As I wrote about in my blog then, there was the chaotic last minute boat prep scramble, and the nerves around what I was about to do. What I did not share, however, was that there was also a lot of personal turmoil going on during these days. I didn’t have bandwidth to acknowledge it back then (or I would have surely lost my mojo), but it wounded my heart and soul deeply. It STILL takes its toll on me, and I am frustrated with myself about that…and angry that I let it do so back then. It has remained a cloud over my journey for a long time, and am ready to clear it. I won’t go into details, but I will say that I need to let it go and wholly reclaim my journey for the huge and transformational undertaking that it was. I have touched on my depression in the months after my return, but I never fully revealed the whole story for I am only now ready to admit the depth of it. It was partially due to the destruction of my beloved Haunani, but it was also due to this unresolved energy from an unfortunate situation that hovered over my trip and return home. That made it impossible to fully embody the joy that should have come from such a feat. I am finally coming out of my melancholy, and am feeling the lightness of life again and so I am able to begin to embrace the magnitude of what I actually accomplished. I am grateful to my years for the knowledge that everything is temporary (which is what got me through), but even with that, it has been an emotionally challenging year. 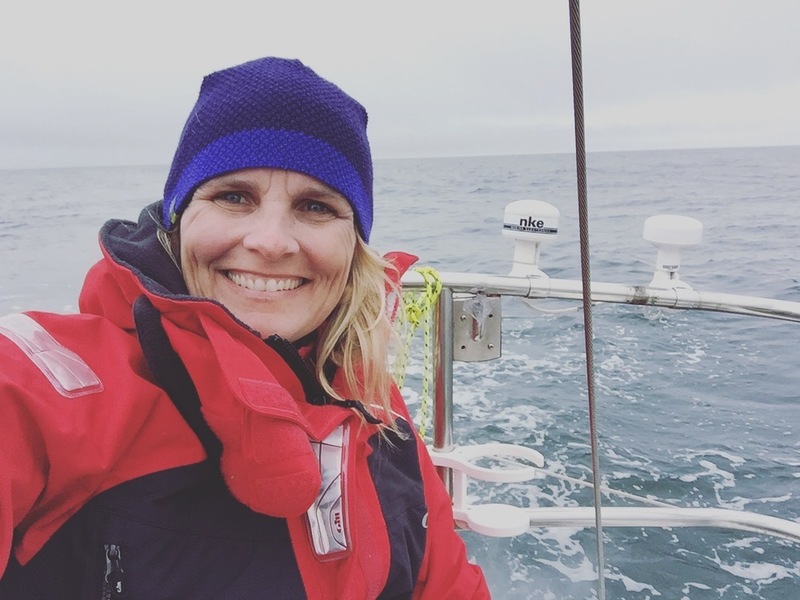 As I get Cassiopeia ready for the 2020 Singlehanded Transpac, I can see that I have a huge opportunity. I have the opportunity to have a do-over if you will, and at the same time to reclaim the gift of my original journey by relating to it differently. I am trying to hold these things as a banner of inspiration as I prepare myself. It helps that having done this before, I feel much less angst as I ready my boat for 2020. I am able to approach the process with more awareness and finesse. I am a significantly different sailor and boat owner than I was one year ago, and that alone makes me feel empowered. Due to this increased awareness, I can be much more in control of the process than I was able to be last year. I have more time and space in which to make thoughtful decisions. I also have much less of a budget to work with, which creates its own opportunity for mindful choices and prudence. All of these things make me feel more grounded in this experience. The physical preparation is an important and necessary factor of course, but I am seeing that this time around, my emotional prep and care need to take a front seat. I am choosing to take better care of myself as this next year and all of its responsibilities and challenges unfold. I am choosing to speak my mind more clearly when it comes to my needs and opinions. I am choosing to keep the energy around my boat and myself clean and clear of negative energy and the emotional turmoil that it inevitably creates. These three things seem so simple, but they were things I did not so diligently attend to last time, and I was adversely affected by that. There is no way to go back and change the hard stuff, and even if I could, I would not trade the lessons that I received. What I can do is look forward and choose differently. This is the year that I am turning 50. This is the year of stepping into my truth and strength fully. This is the year of listening to my gut and trusting it. 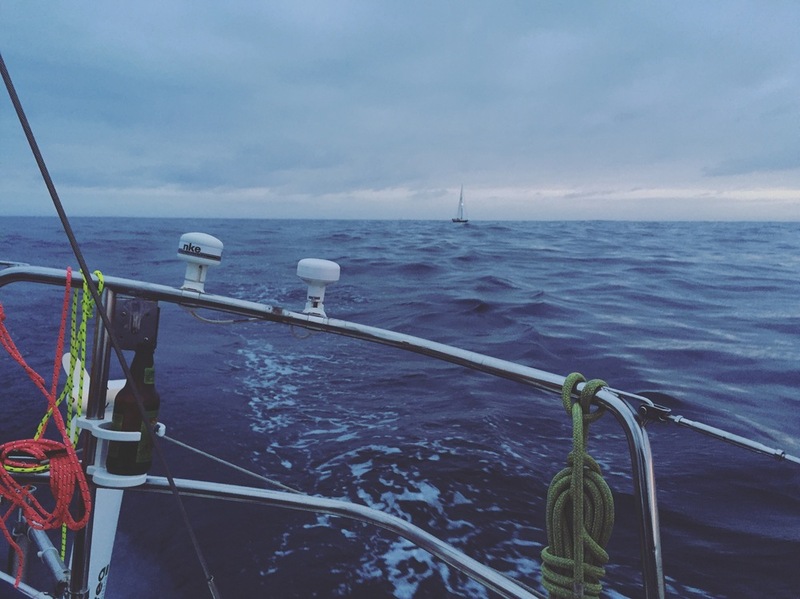 I proved to myself beyond a shadow of a doubt by sailing alone for 2500 miles that I CAN TRUST MYSELF. Now it is time to live that truth on land! No more playing small. No more not speaking up when I know the answer. No more accepting crumbs and convincing myself it is the whole cake. No more putting others’ emotional needs before my own, or as I often describe it, “throwing myself under the bus for another’s comfort”. This is the year of finally understanding that what other people think of me is none of my business. The ways that I have been supporting myself in doing this are many. I found hypnotherapy, which after 20+ years of talk therapy seems like a magic carpet ride to freedom. With the help of an expert team, I took all of the footage from my journey and turned it into a short documentary. 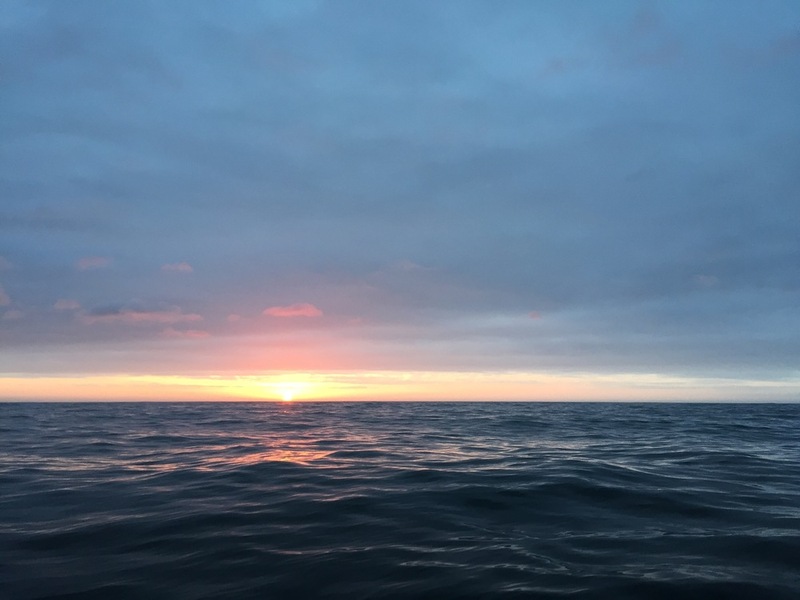 Watching the footage over the past year slowly and firmly planted in my soul the affirmation that I indeed sailed alone across a vast and stormy ocean, and into my own truth and power. Releasing this film into the public eye and allowing others to witness my experience is a bold (and scary) move for me of reclaiming my journey for my own. Grieving the loss of Haunani over the six months of her deconstruction allowed me to acknowledge how she healed me, and also to let go of her so that I could allow space for new adventures on a new vessel. Grieving the loss of a love and the illusion that I created around it is still a work in progress, but is allowing me to learn about self-forgiveness more than anything else. This is probably the single most important lesson that I feel called to learn right now. Just as it did on the morning of my arrival to Hanalei, the heavy shroud of fog and clouds is lifting, and I am seeing my own rainbow framing all of the hope and possibility of a new year and a new phase of my life. I am so grateful to the darkness and to the challenges and successes of this past year. I am especially grateful to all of the beautiful humans in my life who when I am down, always remind me that there is hope, that trust is possible, that love conquers all, and especially for holding up a mirror and reminding me who I am and what I am made of. I will always mourn the loss of my beloved Haunani, but as time goes on I am healing, and the sadness is lifting. Now that my insurance claim is settled, I feel it timely to introduce my new love, Cassiopeia. 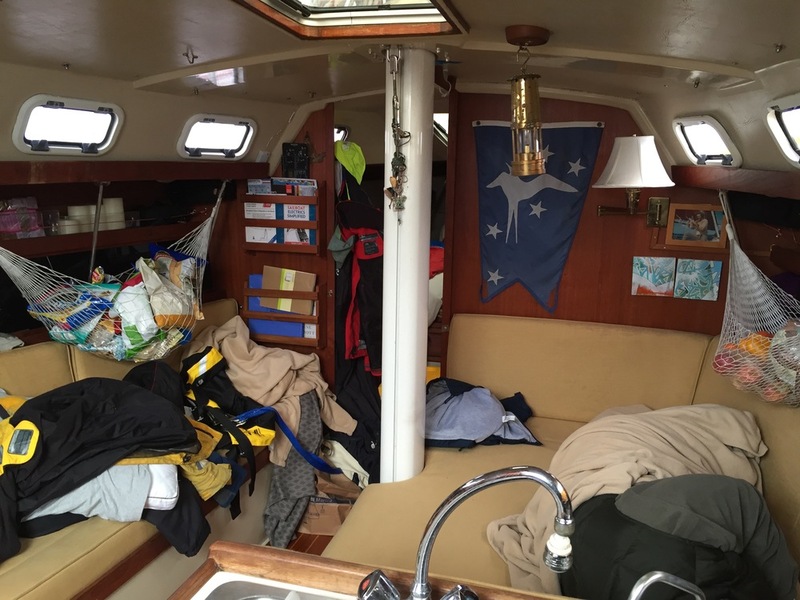 She is a 2005 Hanse 37. As I deconstruct Haunani, I am upgrading Cassiopeia and preparing her to be my companion in the next frontier of my sailing adventures. She is a lovely lady, a bit more sophisticated and "fancy" than my rugged Haunani, but she is comfy fun and FAST! 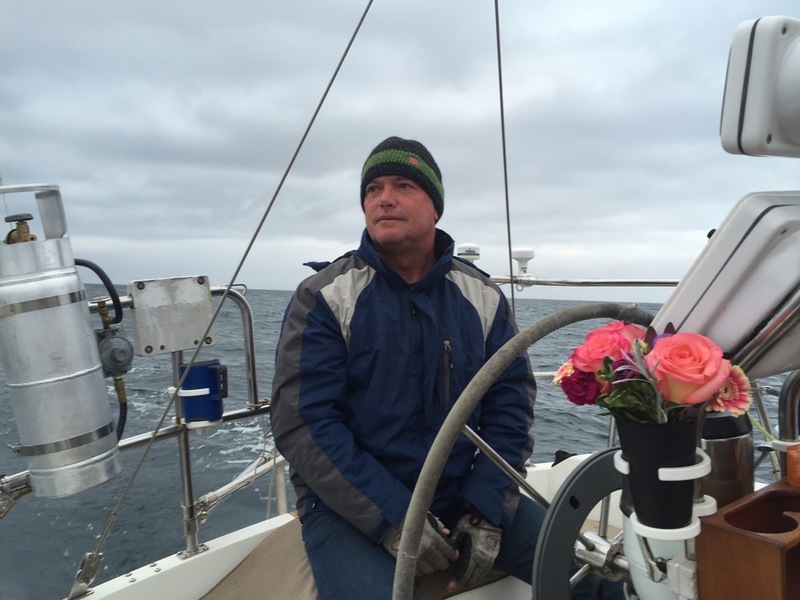 I look forward to learning from her as I tackle my next set of sailing goals. 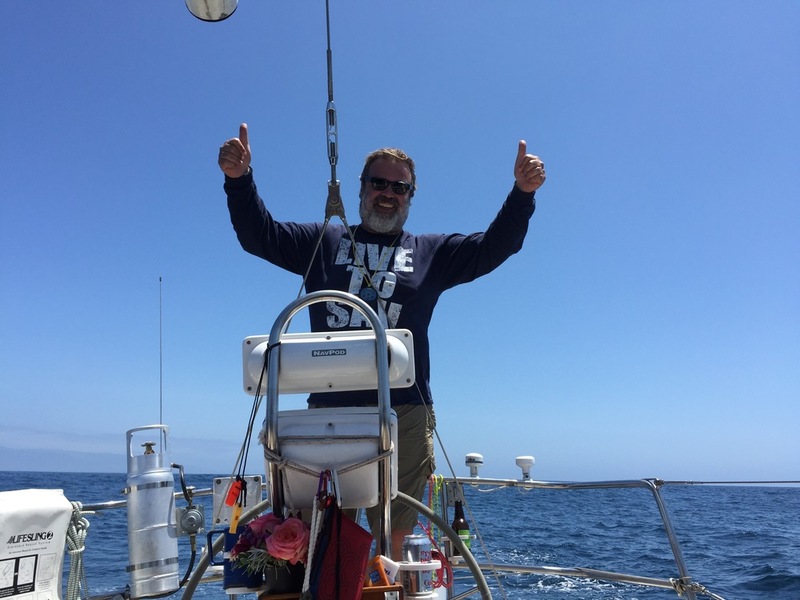 We have entered the 1st of The Del Rey Yacht Club Berger race series, and plan on doing all of the Pacific Singlehanded Sailing Association races this winter as well! Little by little I will replace her electronics with all of Haunani's, (VHF, AIS, digital radar Chartplotter, stereo,etc) as well as some other choice items (windlass and NKE autopilot to name a couple). I am still learning her ways, and figuring out to navigate her layout efficiently. I could move around Haunani blindfolded, but now I find myself tripping all over Cassiopeia as I get used to her set up. Its actually comical sometimes. I am sure this will all shift soon, but I would be lying if I said it has been a seamless transition. Haunani and I were one, and I still pine for the old girl, and the familiarity of her bones. I am amazed at how time is flying by. It is June 4, and the boat is abuzz with activity and the completion of lists upon lists upon lists. Yesterday Haunani was full of industrious people on and around her all day. Thomas replaced my steering cables, and finished wiring my hydro-generator (among countless other things he always does to help everyone else). Dylan and Brian finished replacing the standing rigging, SIlvia scurried around taking photos and helping wherever she was needed. Scott and I made lee cloths. Everyone was focused and moving all day. At one point I stopped and surveyed the scene around me. As I watched everyone so intent on accomplishing their respective projects, I was hit with such a surge of gratitude for all of the people that have come together to get Haunani and me ready for this big adventure. The gratitude I feel grows every day as I feel the reality of what I am about to do hits me in waves (they get bigger all the time). This morning I rode a huge wave. It is June 4 already! How can that be? 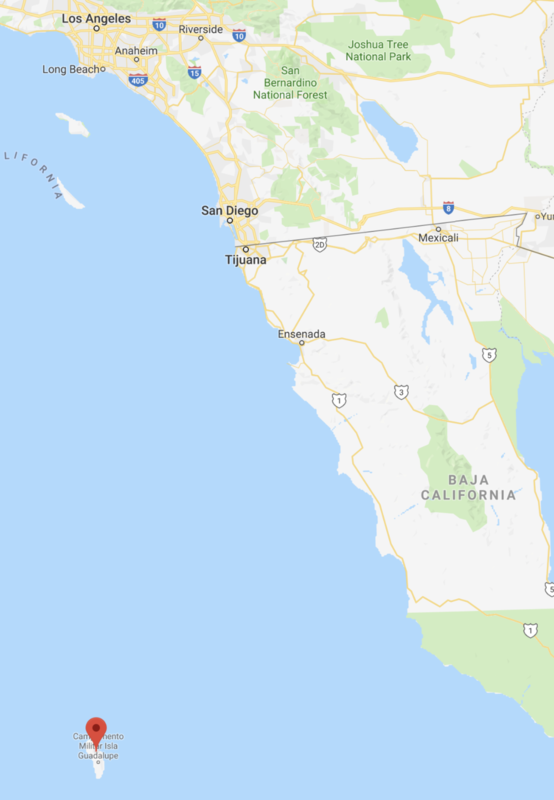 I am leaving here in less than 10 days to head up to San Francisco. So much has been done, and there is still so much to do before that day. I am surrounded by lists and send myself about 10 emails a day reminding myself of this or that. My brain is over-full with everything from logistics to the emotions I am feeling as July 2 rapidly approaches. In the midst of that, I am trying to breathe and be fully in each moment no matter how busy I get or how pressed I feel. These are precious times, and this time of preparation is every bit as important as the journey itself. In fact this IS the journey itself. The journey encompasses so much, and I am so happy to be experiencing every part of it with every fiber of my being. I can hardly believe that I am THIS close to leaving from San Francisco! Everything seems to be in fast forward mode and is so surreal, yet I am interestingly calm. I feel settled and resolute. Yes, I am nervous, and there are still a few question marks, but all in all, I am ready. There are still many furious boat projects going on, and I imagine they will continue until the day I shove off. I keep seeing Hanalei Bay in my minds eye though, and that vision keeps me chugging forward, trusting that all I need to do and know will become clear and available at the perfect time. This keeps proving to be true, so I have no choice but to trust it! An example of this was the issue of getting my boat home from Hawaii. I have been scrambling to figure out a plan (and truthfully was starting to get a tad stressed), and through the support of so many people, a solution gracefully materialized yesterday, and within about 2 hours everything was solved. 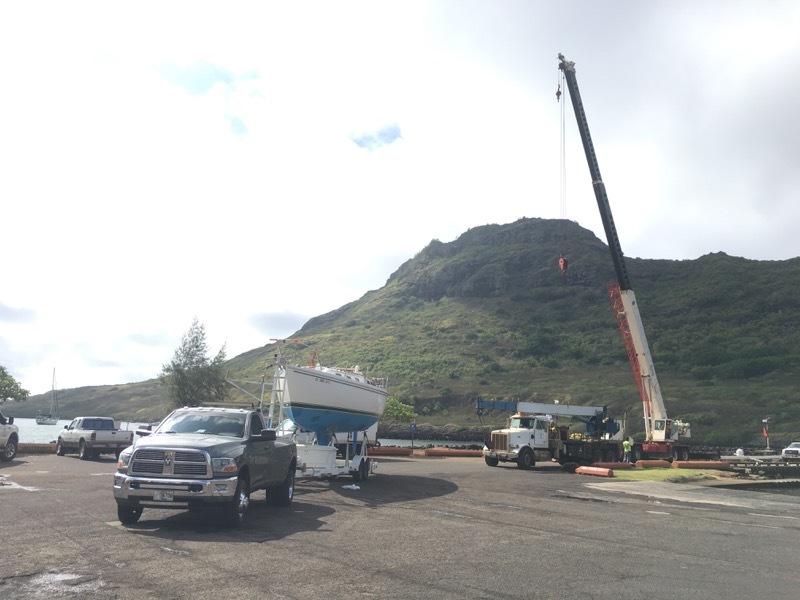 My boat is being shipped back from Kauai directly to LA! Done and done! We leave in about 2 weeks to head up the coast, and I imagine at that point reality will really hit me. Until then, I am keeping my head down and living and breathing all things Haunani. My gratitude for all of those that support me in this adventure is so deep. There are so many people both known and unknown that continuously offer ideas, solutions, support, cheerleading and beyond. Thomas certainly remains at the top of this list. He continues to go above and beyond in every way, and has truly been my rock through all of this. I don’t know that I will ever be able to adequately express the peace and strength that his support has given me. I also want to shout out to my friends and family who have had to deal with my single-mindedness over the past 9 months. Thank you all for dealing with my scatterbrain with grace and compassion (and for issuing a million hall passes for my oversights and distraction). I love you all! 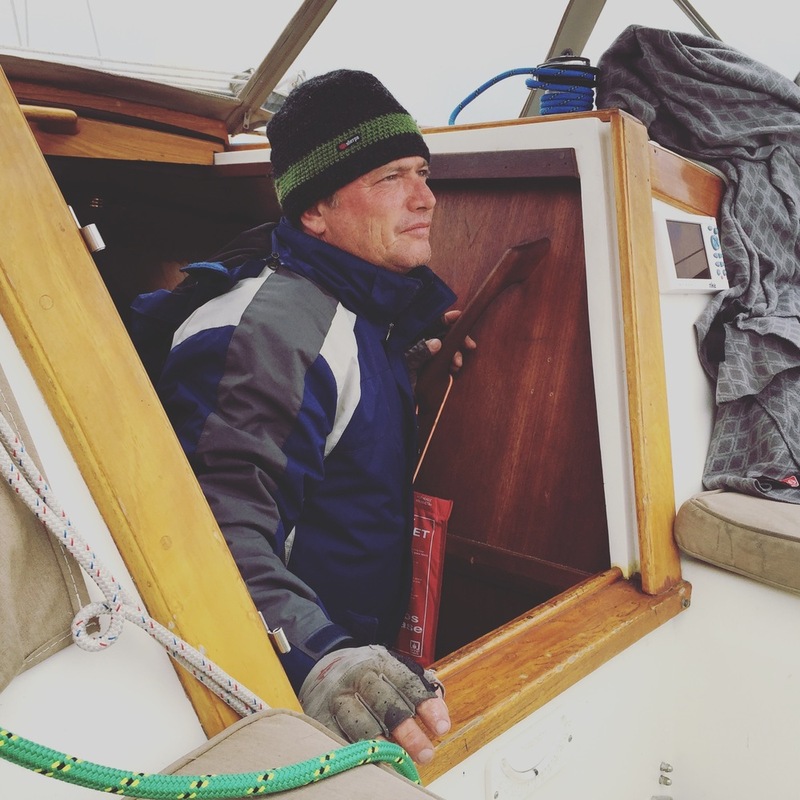 Yesterday was a big milestone for Haunani and me and all of the boat preparations so far. 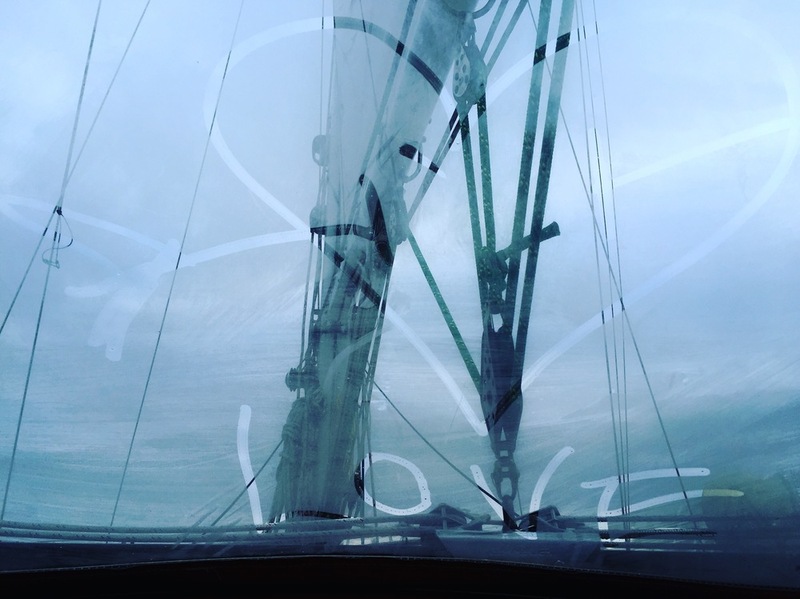 We had our safety inspection for the Singlehanded Transpac. The inspection was conducted by our designated LA area inspector for the SHTP, Whitall Stokes. 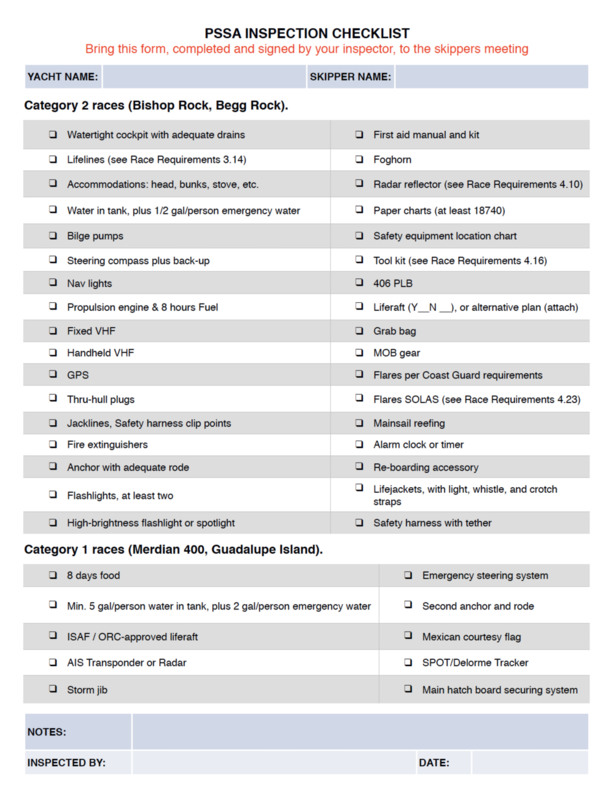 I felt like I was very well prepared for the day, having gone through the checklist (what seemed to be) a million times. When Whitall arrived, we went through the list item by item. There were a few issues, and one glaring oversight on my part, but all in all it went well. By the end of the three hours that it took us to finish, my head was over full. Mostly full of thoughtful and useful recommendations from Whitall, but also of some sneaky fears that started to creep in due to all of the talk of what-ifs, safety precautions and such. I didn’t realize how much of a toll all of this had taken on me until I woke up the next morning. I was utterly exhausted and my brain was swimming with what-ifs and potential scary scenarios that had never so vividly crossed my mind. I tried to shake it all off with a good cup of coffee, a work out and a workday on the boat, but it lingered heavily nonetheless. Thomas and I spent the afternoon working on our next batch of to-dos (which seems to be growing by the day, by the way). As focused as I was on our projects, all of my uncharacteristically paranoid thoughts continued to swirl (I hope I don’t get knocked down, what if my rudder falls off and I cannot get the e-rudder installed, what if I slip and break my leg, what if the electronics all fail and I am left to my own devices, what if I hit a shipping container, what if, what if, what if…..you get the drift). At the end of the day Thomas told me how amazing this was going to be for me, among other supportive and positive things. When I heard him say all of this, my thin veil of “toughness” was pierced, and I promptly welled up and pretty much lost it. I blurted out through my tears “I am scared”. There, I said it! Once I did, the waterworks turned on in earnest and I was able to voice every little worry from the real to the ridiculous. Thomas was, as always, the best listener and holder of space. He allowed me to let it all out, but also reassured me and helped me get back to a place of peace with it all. I am so grateful for our friendship and his support....I have no words. I am still feeling a bit raw, but I don’t want to run from that because I know that allowing these feelings is important. The process of preparing for this life changing adventure is every bit as emotional as it is logistical. The emotional was steering the ship yesterday, and I am so thankful that I am able to let my feelings out, experience them, and process them because they are an integral part of my journey. I suppose “scared” is an extreme term, because I am not terrified, or debilitated by the fear, but I say “scared” because this is unknown territory. As with every step of this journey, the unknowns have been daunting at times. With each experience of them however, I have moved through them to a new level of awareness… and also usually to a new fear. It’s a process and I am fully in it. As one of my PSSA colleagues said the other day about me and my journey (when asked by another friend if he thought I was ready): “she is as ready as she thinks she is”. I am pretty sure he did not mean it to be taken in this way, but I look at this statement as a huge opportunity for me to believe in myself despite my fears…an opportunity to not allow them to derail me but rather to invite them to inspire self-inquiry and therefore growth. Today I am feeling a bit more upbeat, and I am grateful for every feeling and nuance of this entire experience. It is already making me a stronger person, and a lot of that has come from allowing all of my feelings along the way. Its how I generally roll in life, so I am not sure why it feels more poignant in this situation, but it does. I am more ready than I have ever been, yet still healthily nervous about the whole endeavor. 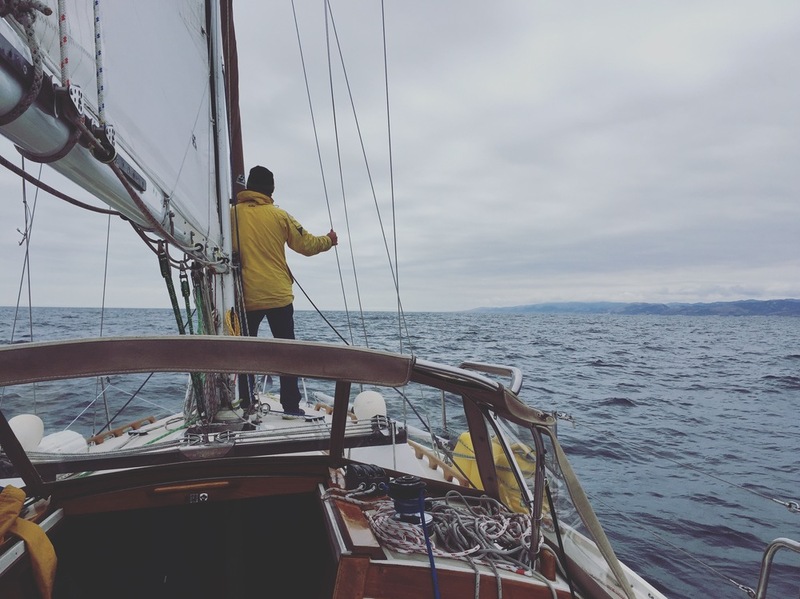 I am living and breathing all things Haunani and sailing right now, and yet in these coming 3 months, I still have some key things to prepare on my boat, a 400-mile qualifier to complete, and a boat to get to San Francisco. More deep breaths! Sometimes I cannot believe that this is all happening! I suppose I should not be surprised at myself, for once I decide to do a thing, there is no stopping me, least of all time constraints. Who says I can’t decide to sail to Hawaii alone and get my boat and myself ready for something I have never done before in 10 months? Ha! It makes me chuckle at myself as I look back at my history of many such (insane?) undertakings. I would like to say it is all me, my headstrong nature, and my powers of manifestation that have made this happen, but I could never have even contemplated this without the help and support of so many incredible people. The one that stands out the most however, is my dear friend and soul-brother, Thomas Lehtonen. Thomas has been 100% on-board since I announced this hair-brained scheme last September, and has never once questioned my intentions or plans. He has gone above and beyond to bring Haunani up to and beyond par. Not only has he graced my boat with his far-reaching and unmatched expertise, but he has also graced my life with his undying support, deep loving friendship, pep talks and gut busting sense of humor. He is the first to comfort me and lift me up when things get hard, and also the first to let me go out and do what I need to do (without cautioning or judging me) when he knows I need to prove something to myself. My friendship with Thomas could never fit into any kind of description, and certainly not into this blog post, but suffice it to say, I could never have gotten here without his love and support. I love you Thomas! Thank you! Thank you! Thank you! !